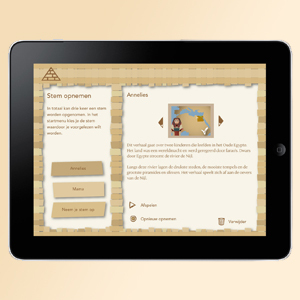 For the Dutch National Museum of Antiquities the NorthernLight team, in cooperation with Follow a Muse, developed an interactive story. 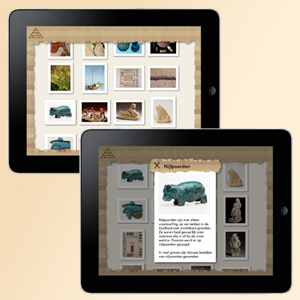 The goal of this project was to make their Egyptian collection better understood by young children (4- 9 years). The Egyptian princess Amara is terribly bored. She escapes from the palace and comes across Amon. He teaches Amara how to dodge dangerous crocodile jaws. However, one day he is caught by a giant crocodile himself. To save him, Amara needs to crack secret hieroglyphs, solve riddles and find a bottle of wonder oil in a maze swarmed with scorpions. Interactive game elements are integrated in the adventure story on crucial moments. 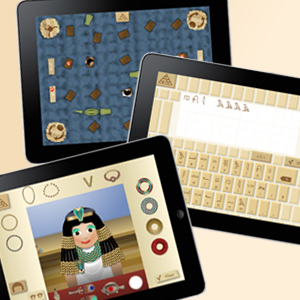 Most of the games have an educational meaning, like cracking a riddle in hieroglyphs. Others are plain fun, like the Crocodile Jump, which you have to complete to cross the river. Throughout the story, highlighted words link children to a glossary, where artifacts of the museum illustrate the story. 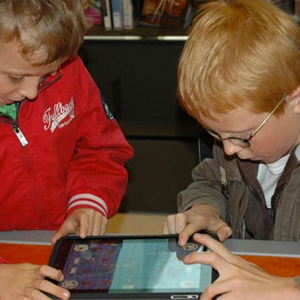 The app gives elderly/adults the opportunity to record their voice while reading out the story. 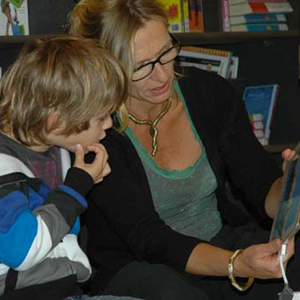 Thereby, children can listen to the story told by their parents whenever they want! 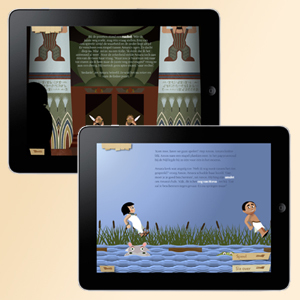 Digitally, Amon & Amara is available on iPad, iPhone and smart board (web based). In addition there is a physical book – with augmented reality effects! – and a quest that can be played at the museum.